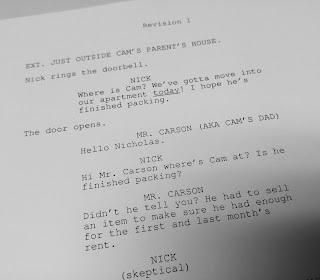 In the pilot episode of this series, we find Nicholas and Cameron on moving day. As they make their way to secure their new apartment it seems like everyone and everything in town is doing its best to keep them from getting to the Riverview Apartments on time. Will the guys be able to move into the apartment today? Hello! Thanks for sticking with us! We're excited to share the promo for the show with you today! Please share it with your friends and on your social media. And let us know what you think of it! We'd love to hear from you! We've also set up an easy way for you to be notified whenever there is a new post on greenhorntales.com. Just enter your email address in the field below and you'll get an email to let you know there's something new. Well, the wait for the pilot episode has been much longer than we would have liked and we apologize. We know you have all been waiting with bated breath for the show to launch and I do hope that no one has asphyxiated while waiting. Life has seemed to get in the way on multiple occasions and we recently realized that we would probably have to expand the team if we wanted to get this show off the ground. So that's what we're doing right now. We are currently working to bring additional creative folks into the fold who can help us in various ways to make this show a success. If you are a composer, sound designer, writer, or actor who would be interested in participating in the project, please get in touch with us. We apologize for the long wait without any updates. The end of 2016 proved to be more busy than we had anticipated. 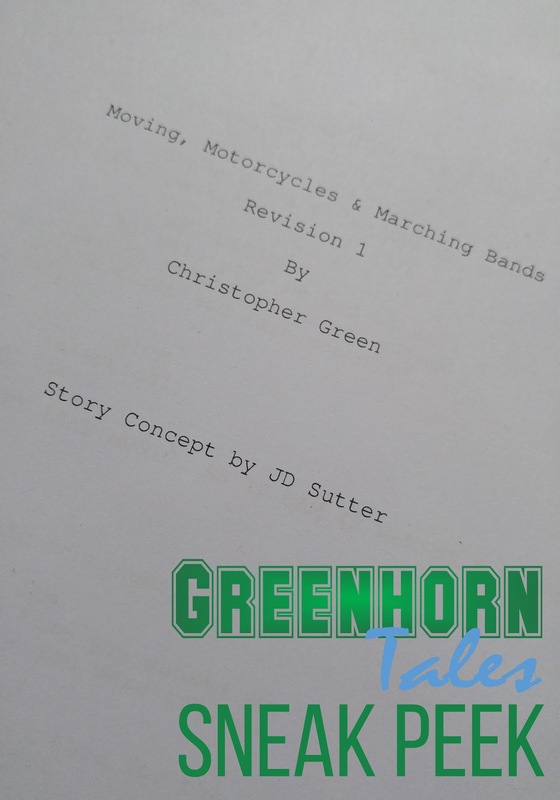 We hope to get back on track with Greenhorn Tales very soon! All the actors have been recorded for the pilot at this point. We are now at the post-production stage. We are working on finalizing the theme music and then it's on to actually putting the episode together. In the meantime, here's one last peek at the script. 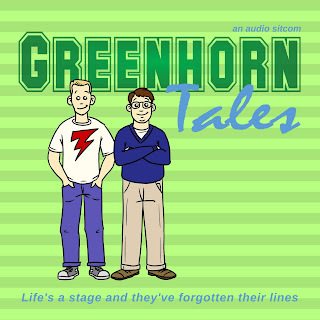 We only have a couple actors left to record for the pilot episode and then we move into the voice track editing phase. Things are moving along nicely. 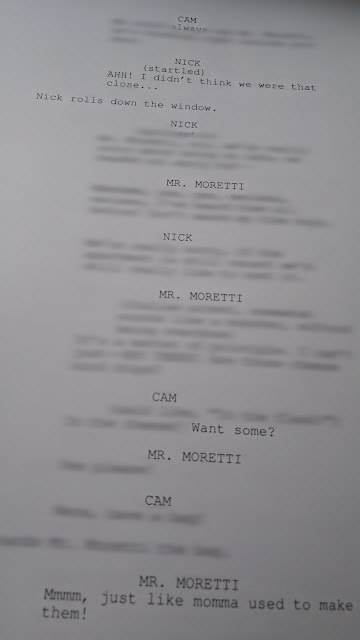 Here is the next peek at the script! 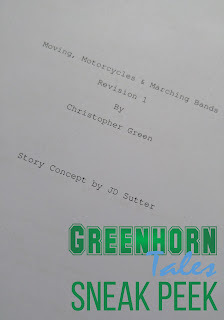 We are still in the recording phase of the pilot episode. Several of the actors will be recording over the next two weeks so in the meantime we'll be sharing a few peeks at the script. 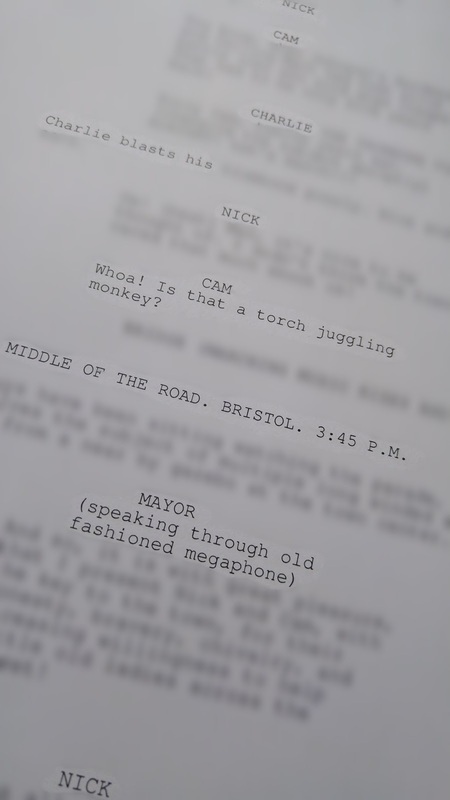 We'll post a snapshot of a page of the script with a few lines visible. Here's the first one! 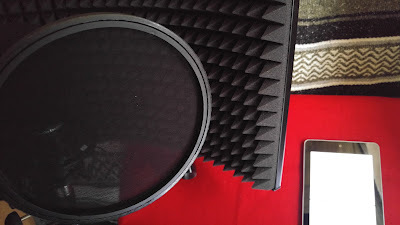 We have begun recording for the pilot episode. You will be hearing from all the major characters in this episode and three of them have been recorded already. Christopher and I connected via Skype today to run through some scenes and we had a great time! The photo below is my view in the booth this morning while reading my lines from my tablet. We'll try to keep you updated on our progress. Talk soon!